Recipe Update: This recipe has been updated from the original recipe (which used lemon juice with the ingredients), because I discovered a simpler and easier recipe that doesn’t require a blender and works just as awesome! The modified recipe (fully updated below) even removed a 6 hour-old red wine stain from our white IKEA slipcover couch (the slipcover was removed and soaked in the whitening solution). If you’re interested in the original recipe (which works great, but when a simpler version is available why not use it instead? ): 2 gallons of warm/hot water, 2 lemons (quartered), 1 cup hydrogen peroxide, and 1/2 cup washing soda. Blend the hydrogen peroxide and lemons in the blender (yes, hydrogen is safe to use in a blender since it’s a great disinfectant–just wash it out after making the solution). 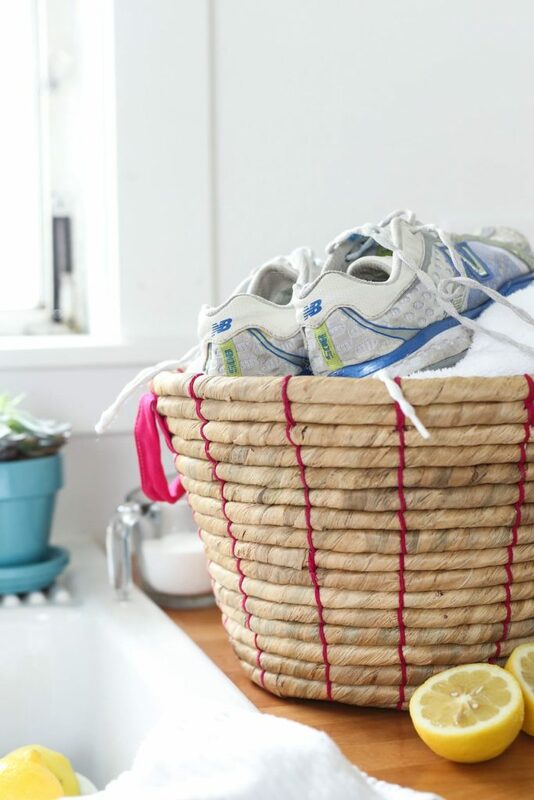 Pour the lemon mixture and washing soda into the warm/hot water and soak your garment for 30 minutes. The garment will probably look yellow from the lemon juice, but I haven’t had any issues with the lemon juice remaining on garments once washed in the washing machine. 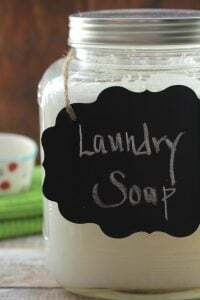 Wash the garment in the washing machine with warm/hot water and laundry soap. How does it feel to wear white again? 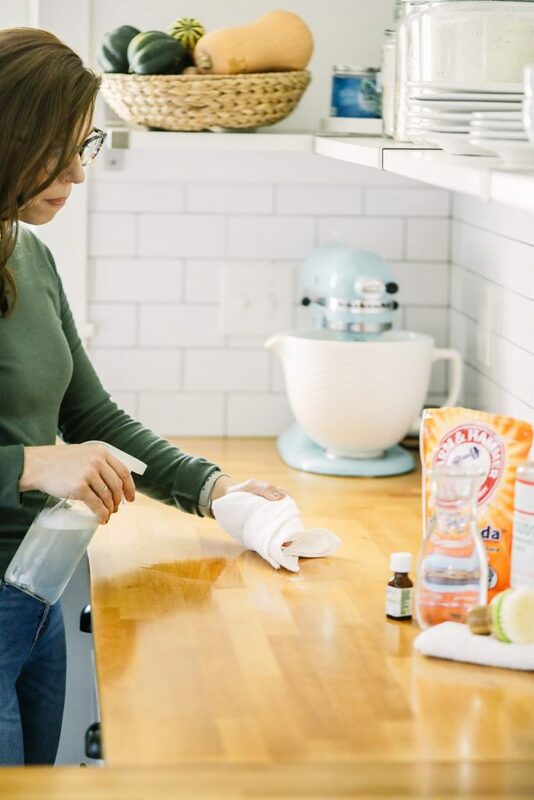 Who knew the secret to spotless whites (and colors) could be found in three ingredients most of us already own, or can easily obtain: glycerin, castile soap, water, and lemon. 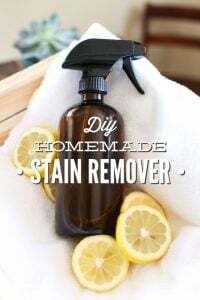 If you’re totally lost right now, I highly recommend skipping over to last week’s laundry recipe post featuring an effective and simple stain remover spray. Once you’ve grabbed that recipe you’ll want to come back here for today’s easy peasy recipe. Trust me, your clothes will be forever changed. Since we are all in a good laundry mood around here thanks to last week’s stain remover spray, we might as well just deepen the laundry love. Let’s talk about laundry again, okay? For the first few years of our marriage (we are coming up on the big 10 next month! ), I was a chlorine bleach fanatic. If the bathroom was dirty, I reached for the bottle of bleach. When the ice cream from last night’s outing decided to visit with my favorite white shorts, the bottle of bleach was put to use. When our linoleum floors went well past a cleaning appointment (with me! ), bleach came to the rescue. I think you get the picture: I loved bleach. And truthfully, I’m not really sure how that love was developed since my parents rarely used this strong whitening and disinfecting agent in their home. Maybe it was the cheap price or the POW job it seemed to perform? Whatever it was, my love was a bit extreme. I really hate to admit this next point about myself, but here it goes: I tend to be a pretty stubborn person. Yep, it’s not my most flattering quality, but somewhere deep inside there’s this little voice that wants to do it my way until I’ve been proven wrong about a million times. Like I said, not a great quality, but we’re all about truth around here. Despite Dustin regularly pointing out the whole “I don’t like bleach” plea, I continued to use it for two reasons: 1/ I was stubborn 2/ I couldn’t find a better alternative. The “bleach alternative” from the store just didn’t cut it. Almost ten years into our marriage, I’m excited to finally share that 2014 was my year for giving up bleach once and for all! Granted, I had cut back on my use of this product many years before, but I still used it on occasion for a tough job and white clothes. As it turns out, a homemade bleach alternative existed right under my nose–a nose that desperately needed a break from bleach! Three ingredients are used to make my homemade bleach alternative: water, hydrogen peroxide, and washing soda (thanks to a much higher PH level than baking soda). 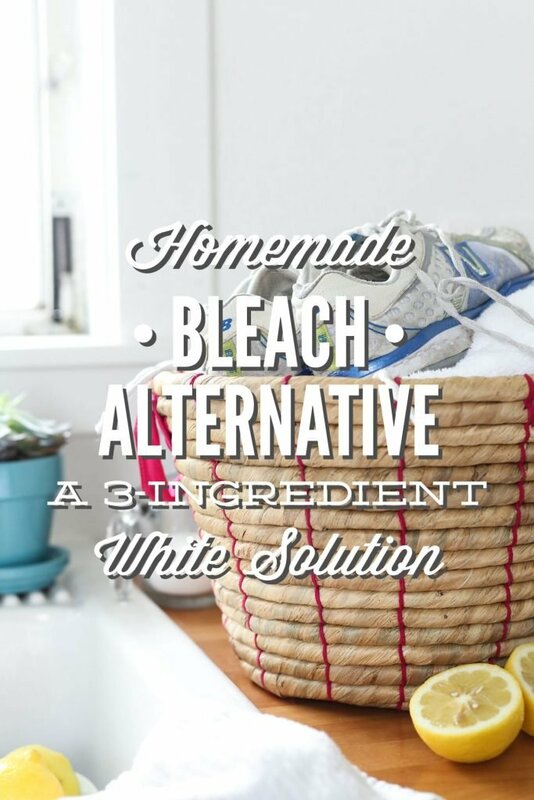 These ingredients are inexpensive and, when combined, create a super effective deodorizing and whitening agent. 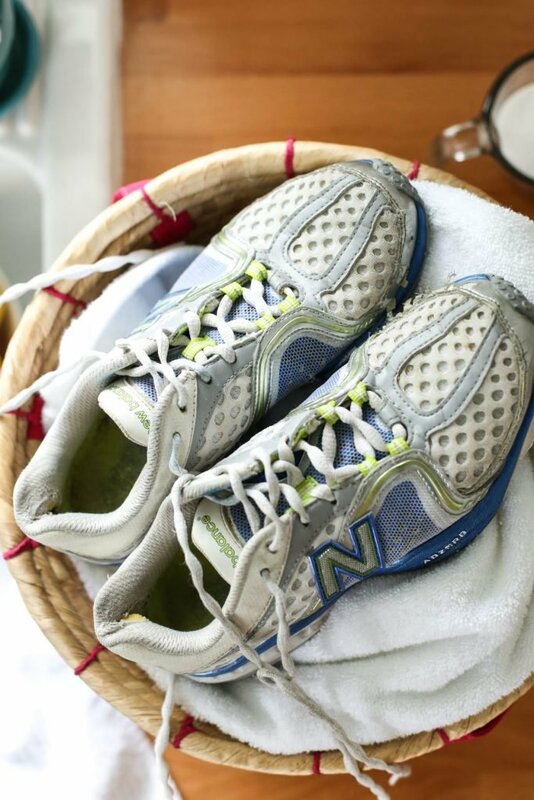 Are you ready to tackle some laundry? Awesome! Three ingredients are used to make my homemade bleach alternative: water, hydrogen peroxide, and washing soda (thanks to a much higher PH level than baking soda). This solution is intended to be a one-time use recipe. I make this bleach alternative as needed. You can use the solution multiple times during the day if you’re doing a quick soak (not hours of soaking) for the garments; just remember that hydrogen peroxide is light sensitive so its effectiveness will fade the longer it’s exposed to light. This recipe can be doubled. Need a quick stain remover for a small area? Treat stains with my homemade stain remover. Need to treat a larger stain? Recently Dustin spilled red wine all over our white IKEA slipcover couch and didn’t realize it until several hours later (the glass had been pushed behind a throw pillow before spilling). I mixed together this solution and after a couple of hours, the wine completely was gone! “Is this solution color-safe?” I don’t use this solution on delicate clothes. 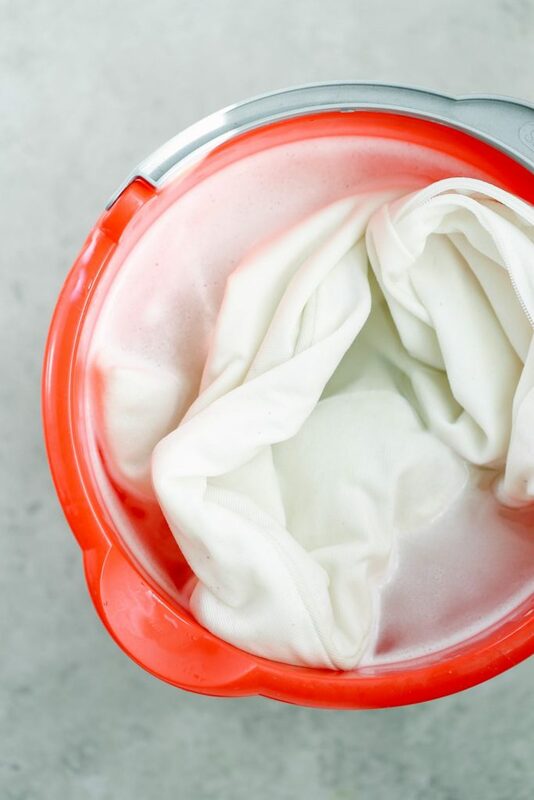 If you want to use this solution on colored fabric, I recommend testing a small area first before soaking the entire garment, especially if it’s a favorite shirt or pair of pants! I soak our black and white chevron print kitchen rug in this solution without any issue. Sounds great! Thanks for posting,im so allergic to chlorine bleach and I love to wear white. It’s the same story at my home, pretty stubborn (finger pointing at myself.) My husband is right about a few things now and then that I have to figure out for myself too. Though it’s not as often as he might think ;). At least we can admit we were wrong once we figure it out right? I too want to completely give up on bleach. I only use it as a laundry additive to clean the towels and sheets. Since this is a soaking alternative, I’m not sure I could add it to the he washing machine I have and get the same results. What do you think? Hey Lura, My concern with the washing machine is the lemon pulp will clog the little holes in the washer. 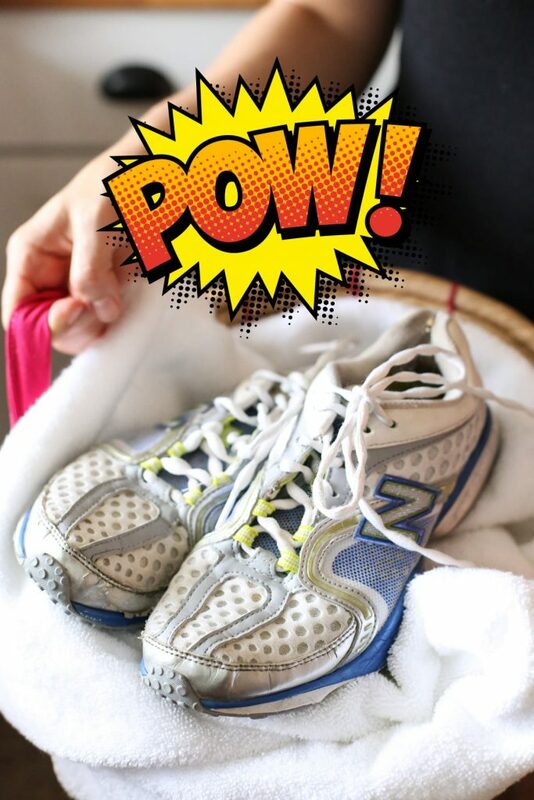 I’m going to post a laundry booster (like a homemade OxiClean) later this week. I add this booster directly to the washer with my towels: 1/2 cup hydrogen and 1/2 cup washing soda. You can also soak the clothes in this solution in the washing machine. Another idea is to peel the lemons and strain the juice and then add it to the washing machine with the remaining ingredients. 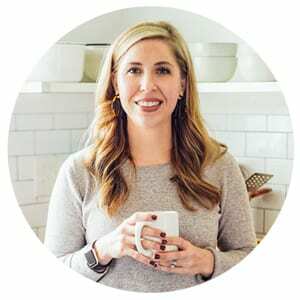 Kristen – I have looked for years for cleaning products/recipes that would do the job – with no luck of course – until I found your recipes on Pinterest. I am so very thankful for your efforts – no more Tilex on the tub, no more bleach, no more toxic anything. Scrubbing the tub was my biggest challenge – with tendonitis. Now, piece of cake! I have fabric shower curtains in my place but while I wash weekly & use an extra fan to dry the bathroom, there is one corner of the shower curtain that still gets moldy (we pull back the decorative curtain & hang one corner of the liner up so the air can circulate better). But with all that effort, I still get mold. I tried soaking that corner in 3% standard peroxide but the stain is still there. I guess I could soak that corner in bleach for 5 minutes but I’d rather not. Thoughts? Oh, I do have some stronger peroxide in the cabinet (40%) but have been a little nervous to try it. Thank you so much for sharing! I’m so blessed to hear you’re enjoying the recipes! I wonder if soaking the curtains in vinegar, or spraying them with a vinegar/water solution, and then soaking them in this solution would work? I’m thinking the vinegar will kill the mold and the whitening solution will give them a bit of a whitening boost. Hi Donna, In the weekly email you’ll find a link at the bottom that says, “unsubscribe.” Simply click that link and our email service will unsubscribe you from the weekly email list. Hi! Thanks for sharing. My hubby insists on cleaning the bathrooms with bleach ugh! Would this recipe work in a spray bottle if substitued with lemon essential oils? Sounds like Kristin (me) ;). Well, the former Kristin. I’m not sure if this will work in a spray bottle. I think the washing soda may clog the spray nozzle if it’s not dissolved in hot water first–maybe you could dissolve this ingredient in hot water and then add hydrogen and lemon essential oil? Hydrogen peroxide is a great disinfectant! Hey Jen, I use my bathroom sink or a bucket for soaking clothes, so a about 2 gallons. The water amount is updated in the recipe. Hi! I love your site. I’m wondering if I could premix this and strain it so I can just add it my washing machine. Would the mixture stay stable even if I added the peroxide and stored it? Thanks! Hey Leah, I’m so glad you’re enjoying Live Simply! I don’t think this solution will work as a pre-mix. You may be able to use the method you mentioned, then dehydrate the solution? My concern would be the change in chemical structure. I’ve also found hydrogen peroxide and washing soda tend to form a hard crystal substance when they are mixed together and stored for 24+ hours. It’s worth experimenting–let me know how it goes! Has this mixture ever stained your whites yellow? Hey Gillian, I haven’t experienced yellowing, yet. That’s not to say it can’t happen. So far so good. I made this bleach alternative today and am hooked! I didn’t have a bucket, so I used a cooler. I soaked the clothes for an hour and when I put the clothes in the washer the soaking water was still hot because of the cooler! Love how bright my whites are!!!! Awesome, Maureen! I’m so glad you’re enjoying the whites :). Hey Bethany, Yep, you’re correct. There’s a little note about it at the top of the post. I’ve found that it works about the same as the lemon juice mixture, but it’s a lot easier than blending the lemon juice in the blender. Hey Faith, I’m glad you’re enjoying the bleach alternative. I know this may seem like a silly question, but once you are finished with the solution do you just pour it down a sink? I just wanted to see what you did since I am not sure if the washing soda/hydrogen peroxide combo could affect anything. Thank you! Hey Rebekah, Yep, that’s exactly what I do :). It’s safe to pour down the drain. I had thought about adding a bottle of peroxide to my homade liquid laundry soap but you say it will degenerate quickly? What could I add to my detergent besides oxyclean, that will help whiten and remove stubborn grease? Hey Kathe, Yes, hydrogen peroxide will quickly degrade, so unfortunately there’s not a product that may be added to the laundry soap. You could add the hydrogen to a Downey ball. hahaha… what was going on? lol. Thanks for the recipe as always Kristin. I’m keen to test it out. Lol, Stacey, yea that sentence leaves much to the imagination! Netflix ;). You’re welcome! Hi Kristin, I also have white IKEA slipcovered couches…what do you soak something that big in? A 5 gallon bucket won’t do the trick, and I have a front loading washing machine, so it’s not like I can fill the washing tub…any advice? Hmmm, Melissa, that’s tricky. We have a top loader so I typically soak our slipcovers in there. Maybe the bathtub? If you’re doing all the slipcovers, you’ll probably need to increase the recipe (since you’ll be using more water). HI! Could I add (the new recipe) to the wash??? Could I use borax instead of washing soda?